How Far is Jones Cassia? Jones Cassia, by Jones Foundation Pvt. Ltd, is located at Ottiyambakkam Chennai, is at the crest of grandiosity and splendor. Jones Cassia is a gated community with premium villas surrounded by beautifully designed landscapes. Spreading its wings over 10 acres area with 150 gorgeous premium villas, Jones Cassia offers an alluring, enjoyable experience for a lifetime. The CMDA approved Jones Cassis is located in the Ottiyambakkam, Chennai which is a place blessed by nature. Ottiyambakkam received a continuous demand for residential properties due to the availability of good quality residential complexes in all budget categories. Combined with wonderful schools, good hospitals and places for essential needs and recreation, it is an all-encompassing desirable area to reside in. 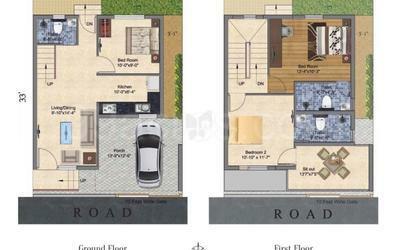 Jones Cassia offers villas for sale in Ottiyambakkam, Chennai. 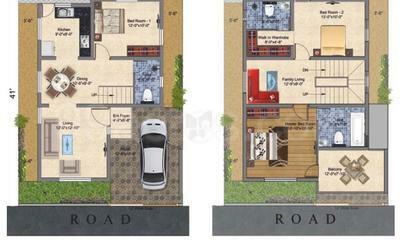 Variations of 3BHK and 4BHK Villas are available for sale. 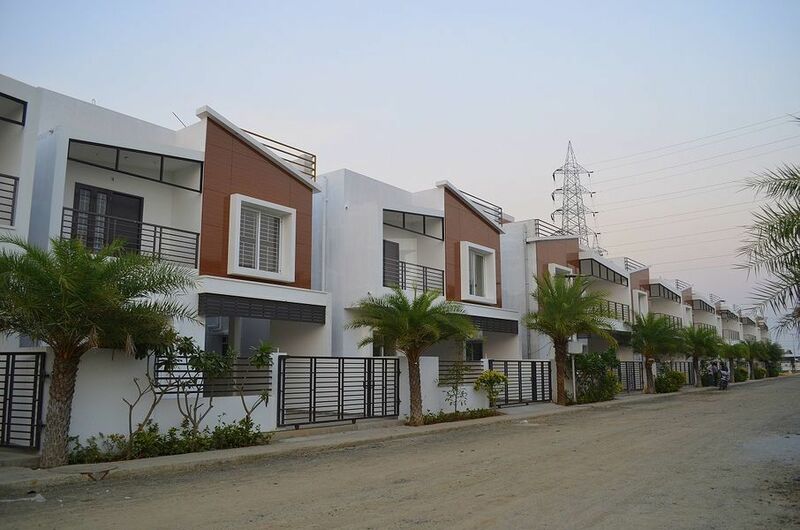 Beautifully crafted 3BHK Villas for sale have sizes varying between 1162 sq. ft. and 1417 sq. ft. 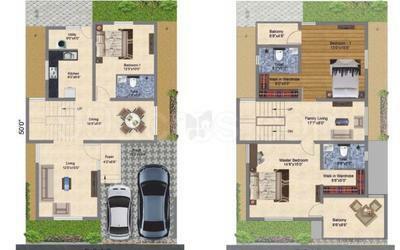 The 4BHK Villas for sale have sizes varying between 1730 sq. ft. and 1897 sq. ft. The villas are brilliantly planned to ensure maximum ventilation and light inside the homes. 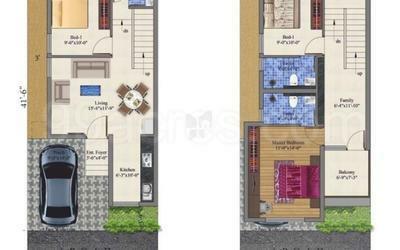 Each villa for sale in Jones Cassia, in Ottiyambakkam, Chennai is exquisitely set to create interior and exterior spaces, to bring together functional areas and contemporary style. World class amenities like Health club, Party Hall, Squash, Shuttle and Tennis courts, Coffee shop, Individual villa CCTV surveillance, Children’s play area, Swimming pool and many more are available for use. Jones Cassia has also taken the green initiative by providing Solar Street Lights, Solar Power backup for Individual Villas, Landscaped gardens, Meditation Hall proving that it is a piece of heaven on earth. 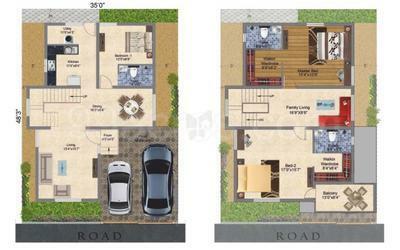 Premium Villas in various styles, in gated community with world class amenities. Living & Dining : 600*600 mm vitrified tiles. Bedroom & Kitchen : 600*600mm vitrified tiles. Basic kitchen with granite top and stainless steel sink with drain board. Ceramic tiles upto 2’0” height above granite counter. Aesthetically finished exteriors with weather coat paint.